The previous three months have been a time of firsts for me. I’ve released my first printed book in paperback, did my first book signing, spoke at my first public speaking engagement, and attended my first book festival as a guest author. All of these things have boosted my writing career locally. But what interests me more is a boost I’ve seen globally during this time. And for that, I have to thank Wattpad. I first encountered Wattpad, a story sharing website with over 20 million monthly users, over a year ago in a podcast by the indie author Joanna Penn. As a person who is always on the lookout for new avenues that could boost my ability to reach more readers, I decided to give it a go. The idea behind Wattpad is that you, as a writer, post your work in a chapter-by-chapter format at regular intervals, and then readers get the opportunity to read it. The whole process is free so authors make no money directly from Wattpad, but the exposure it has given some writers has led to lucrative publishing deals and large global audiences. Needless to say, it has its benefits. I started small, offering a short, 37-page zombie story called Necroville in four weekly instalments. This would be of small risk to me as it only took around two weeks to write so I decided to put it online. I’m in a very fortunate position as I have a healthy following on Twitter. (I have written tactics for gaining Twitter followers here.) Many of my followers are extremely supportive and are willing to follow links on the rare occasion I post them. As a result, each week on a Monday, I promoted the new part on Twitter every time I uploaded it. This generated a small surge of new readers, some of whom prompted me to upload the next part every Monday. For a relatively unknown author like myself, hearing this sort of avid desire to read my work from total strangers was thrilling! The whole process lasted four weeks, during which, my readers, both through Twitter and new ones who discovered my work on Wattpad itself, gave me feedback and pointed out any typos I had missed during my editing process. The feedback was encouraging, especially from readers in my chosen age group. After week four, I came out of it with a little over 300 reads and a few new readers, thoroughly happy with my experience. And yet, it didn’t stop there. In the second week of October, the content team at Wattpad featured my story on their ‘Horror’ page and everything hit a whole new level. The criteria for being featured by Wattpad are subjective but include having a well-edited story with an eye-catching cover and reader approval. (You can read more on creative an awesome book cover here.) Being featured relies on several factors but it can substantially improve your story’s success, as I discovered. Before Wattpad, I had only ever displayed my stories on Kindle, reaching readers in seven or eight countries when I did a free giveaway. Wattpad has far fewer readers in the UK and US than Kindle. However, it has strong audiences worldwide. Being featured at the top of the ‘Horror’ page exposed me to these readers, generating whole levels of interest I had never seen before. As of today, my story Necroville had reached over 60 territories, garnering over 17,000 reads, plus hundreds of votes and comments from real readers. For an author who is relatively unknown, gathering that sort of interest in as short a time period as a few months is almost unthinkable! In an attempt to monetise this success, I later uploaded the whole 37-page story to Amazon and priced the Kindle story at 99 cents. This is a method that I’ve been told works well, particularly for longer books that gain extra exposure from Wattpad as their algorithms favour longer works. For me the move yielded poor results. This isn’t off-putting, however, as the whole experience boosted my author profile and gained me a whole new crowd of readers. Plus, it taught me some valuable information that I plan to use in the future. As I now know that there is an audience for my work on Wattpad, I would mainly draw lessons from my failure to monetize my work effectively. In the future, I only would start uploading the story chapter by chapter after the whole thing has been released as an eBook on sites like Amazon, Kobo, iBooks, or Nook. This way, I can include a note at the end of each chapter, telling my readers that if they can’t wait a week until the next chapter of my book is uploaded to Wattpad then they can purchase the whole thing immediately and read it in one sitting. Spending habits are changing; millennials value speed and convenience over everything else when considering purchases. If they can read a story when and how they want then they are willing to pay for that privilege. In the case of Wattpad, readers will pay to read a story faster, rather than having to wait until the next instalment. By releasing Necroville on Kindle after uploading the whole thing on Wattpad, I ruined my chances of sales as the Wattpad market would not gain speed or convenience by paying for the book. So, in the future, I would do this the other way around. The answer to that really depends on the author and their goals. If writers want to make money without anyone reading their work for free then maybe Wattpad isn’t for them. For me, it was about trying to gain exposure. 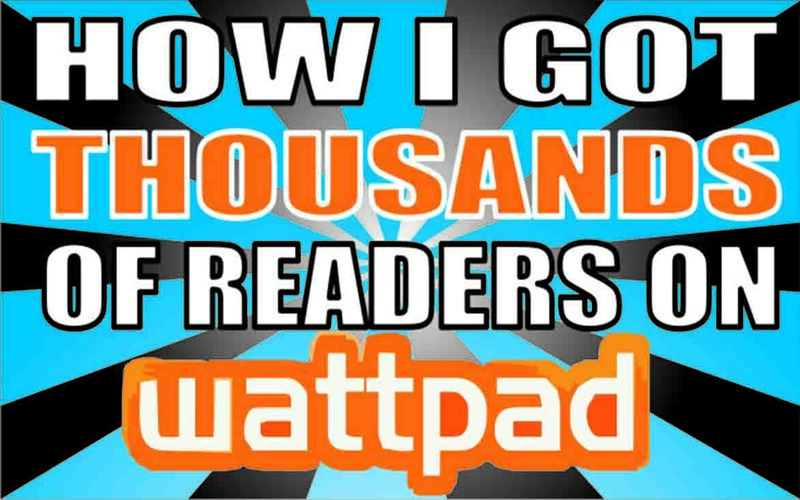 I wanted to get my writing in front of a bigger audience of readers and Wattpad helped me achieved that. As of writing this post, Necroville has acquired over 17,000 reads on Wattpad in the space of a few months. Part of it was due to luck, but part of it was due to writing a good story, editing it as best I could, and researching what little tricks I could do to ensure that the story performed well on the site. Tweaking and testing things means that hopefully I will reach an even larger audience with another story in the future. As well as getting new readers, I also wanted to improve the quality of engagement I got from my followers. This, I was absolutely achieved. Since uploading Necroville to Wattpad I gained new, more avid followers on Twitter who talk about my work and ask me when I am releasing my new stuff. My account once even got recognised on there: someone asked me if I was “the guy who wrote Necroville on Wattpad”. That reader went on to explain how she loved my story and wanted to read more about a particular character. As this character has proved popular with other readers I have realised the power of Wattpad for recommending what a writer should write next. If my readers want a spin-off story about a side-character who was fun to write in Necroville then you can bet that I’m going to revisit that character! If you are an undiscovered author who wants to experience a taste of what it’s like to have avid readers and gain valuable feedback on your story then Wattpad is a perfect site for you. Just remember to be nice, take criticism with grace, always respond to your readers if they have questions, and play your part as a reader as well as a writer on Wattpad. Update: Since writing this post, Wattpad has also decided to include my story in a list of their top 10 zombie stories in celebration of the Pride and Prejudice and Zombies movie. It’s safe to say, I love them even more for this! If you want to check out Necroville then read it for free on Wattpad or buy it on Kindle for $0.99 – I would appreciate some Amazon reviews. Additionally, you could sign up to my mailing list. I’ll be releasing some exclusive content to my subscribers very soon!